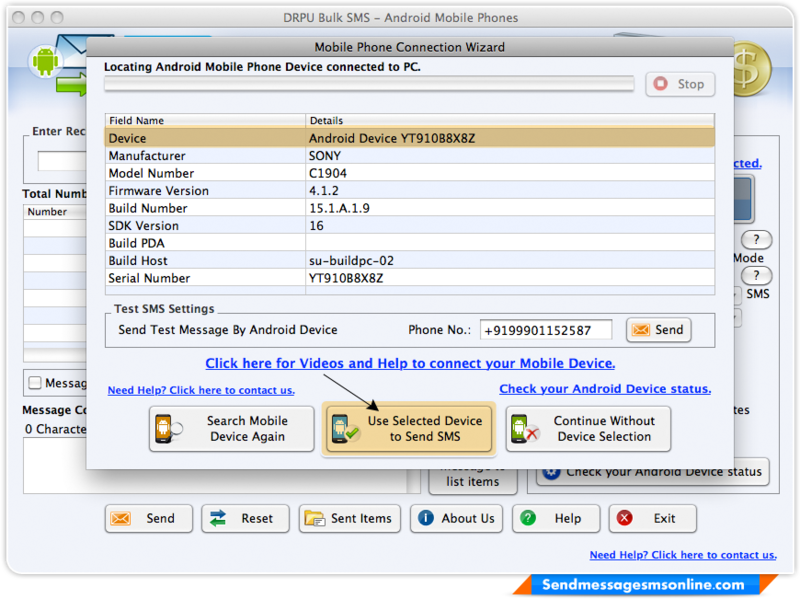 Mobile phone connection wizard locating Android mobile phone device connected to PC. 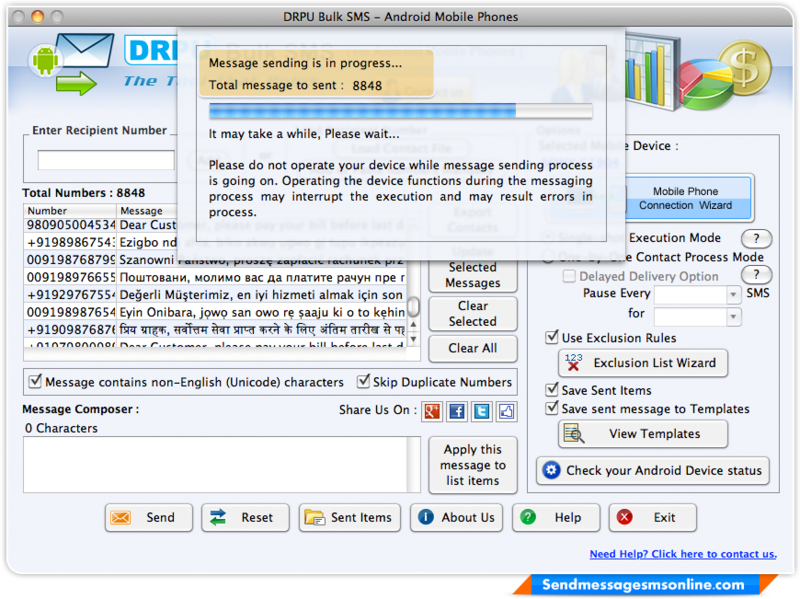 Once connection is established, Click on “use Selected Device to Send SMS” button to proceed to next step. Screenshot display Sony C1904 mobile device is selected. 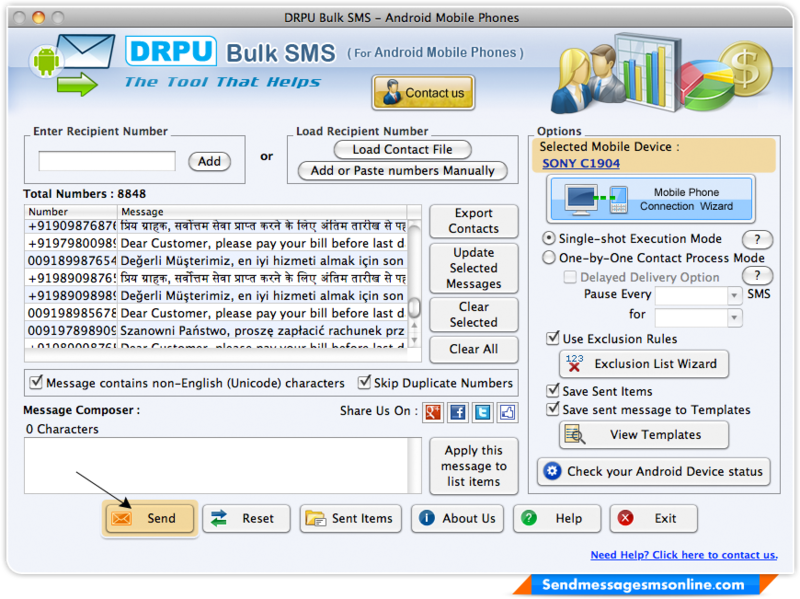 Load contact number and enable Single shot Execution mode and press “Send” button to start sending process. Progress bar display current status of message sending. Above screenshot shows list of entire templates messages.